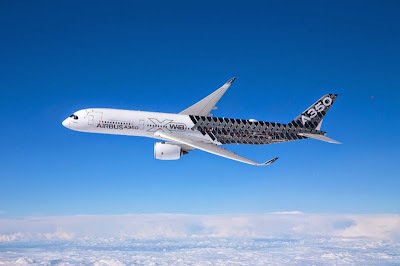 Leading aircraft manufacturer, Airbus, is carrying out research with the University of Sheffield Advanced Manufacturing Research Centre (AMRC) with Boeing in Rotherham, on a new ultra high strength steel that could end up being manufactured here in the Sheffield city region. 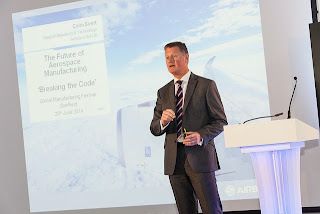 Colin Sirett, head of research & technology for Airbus in the UK, gave an update at the Global Manufacturing Festival conference, being hosted by the AMRC's Training Centre, on the focus that Airbus and the rest of the industry has on lowering costs and reducing the impact on the environment as the demand for air travel soars. Airbus is an aircraft manufacturing subsidiary of EADS, a European aerospace company. Based in France, the company produces approximately half of the world's jet airliners. It produces the first commercially viable fly-by-wire (electronic) airliner, the Airbus A320, the world's largest passenger airliner, the A380, and the A350 XWB which it claims will be more fuel-efficient and have operating costs up to 8% lower than the competing Boeing 787 Dreamliner. Working together with governments, industries, research institutes and universities around the world, Airbus is researching the technologies and innovations needed to deliver a significant improvement in efficiency and performance. 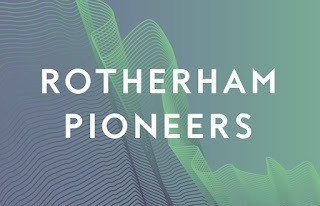 Airbus joined the AMRC as a Tier One member last year having previously worked together on the Integrated Wing Project, a previous R&D project lead by Airbus. Airbus is focusing on reducing overall costs for each aircraft, reducing maintenance costs and bringing down lead times. Indeed, Airbus has set itself targets to reduce overall costs by 40% and to reduce the time to market by 50%, and Sirett explained that it will be down to harnessing advanced manufacturing techniques in order to meet these targets by 2020. He said: "Technology is the easy bit. We have to change the way we manufacture. "Additive manufacturing and 3D printing is palpable, not just for us, but the whole supply chain. Using techniques like laser metal wire deposition and improved methods of casting has to happen. "We know the techniques are available here [on the Advanced Manufacturing Park], it needs to get into the supply chain to reduce machining time." Sirett also explained that research into new materials will also help in the battle to reduce weight and fuel consumption. He said: "Composites and plastics are important but don't forget that the XWB is 42% metal and that's about as far as we'll go. "Airbus is working with the AMRC on next generation steel. A steel that is ultra high strength and corrosion resistant that can be used for key components on the aircraft. "There is the potential for it to be made in Sheffield, and that has a good ring to it."